If you’re like most Chicagoans, then every year St. Patrick’s Day isn’t just your average “holiday.” In Chicago it is a huge celebration with good times, good friends and most importantly good food. 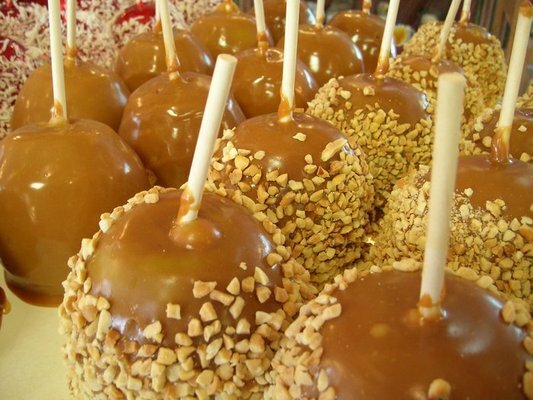 Chicagoans go all out when it comes to this festive green holiday. 1. We dye our emerald river green!! 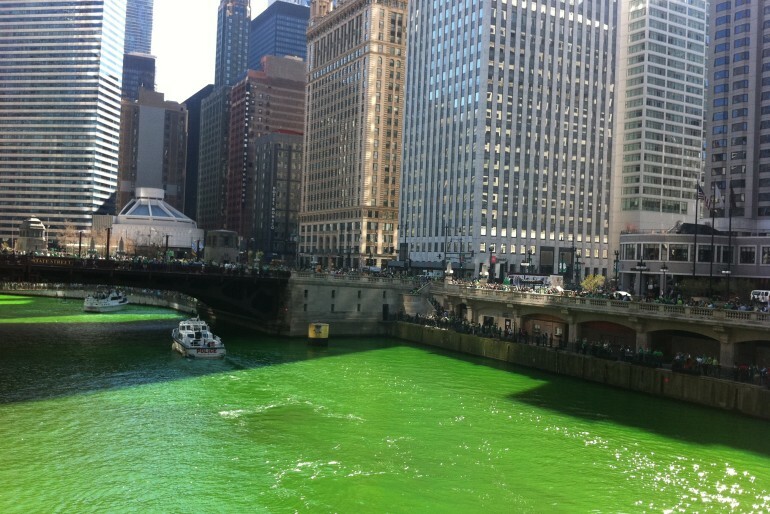 In true Chicago fashion, every year around 40 pounds of eco-friendly dye is dumped into the Chicago River and it lasts around 4-5 hours. The dyeing starts at 9:30 a.m. and is located at the corner of Columbus and Wacker Drive. The dyeing of the river has been a beloved tradition for about 50 years, and it draws in crowds that also follow the parade around the city. 2. We have TWO parades! We have a parade on the north side of the city which usually resides on a Saturday (this year March 14) so that families and tourists can come out and enjoy the festivities. The downtown parade starts at 12 p.m. at Columbus and Balbo. The parade proceeds north on Columbus and the viewing area is in front of Buckingham Fountain. The Second Parade that takes place in Chicago is the South Side Irish Parade. It is a family friendly event which is supported by the surrounding community. It is said that this parade is one of the biggest Irish Heritage celebrations outside of Dublin. This year it is on Sunday March 15. 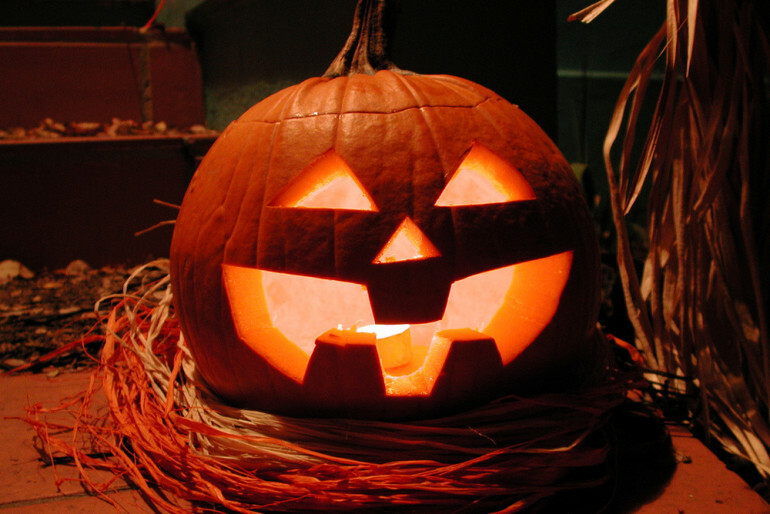 It starts at 12 p.m. and is located on Western Avenue between 103rd and 115th Streets. 3. We have the best food! As Chicago is known for being a foodie city, there are many restaurants around the city that make authentic Irish cuisine. Several locations include McNamara’s on Irving Park and The Abbey Pub just off of Elston Ave. on Grace St.
4. We have numerous parties around the city! In Chicago, we do St. Patrick’s Day pretty big. Whether this means going to the parade, or starting the fun bright and early at 8 a.m. with a pub crawl, Chicagoans are very diverse on what they like to enjoy throughout the city. Most restaurants in the city take part in the St. Patrick’s Day festivities, whether it is signing up to be a stop on a bar crawl, or having green beer specials, this is one holiday that bars and restaurants enjoy. 5. Four words: Irish American Heritage Center. The St. Patrick’s Day celebrations that go on here are among Chicago’s largest. The Irish American Heritage Center is hosting two celebrations: one on March 14 and the other on March 17. What sets these celebrations apart from the other ones throughout the city is the live music, food, and activities all in one place. Saturday March 14, the center will hold its St. Patrick’s Festival which will follow the Chicago St. Patrick’s Day parade on the north side of the city. This is a fun and family oriented event which includes traditional as well as contemporary Irish music, dance, food and arts and crafts. For more information on the festivities going on at the Irish American Heritage Center you can visit www.irishamerican.org. In the third part of our feature on social dining we explore BlendAbout, an organization that brings people together for group dining experiences. 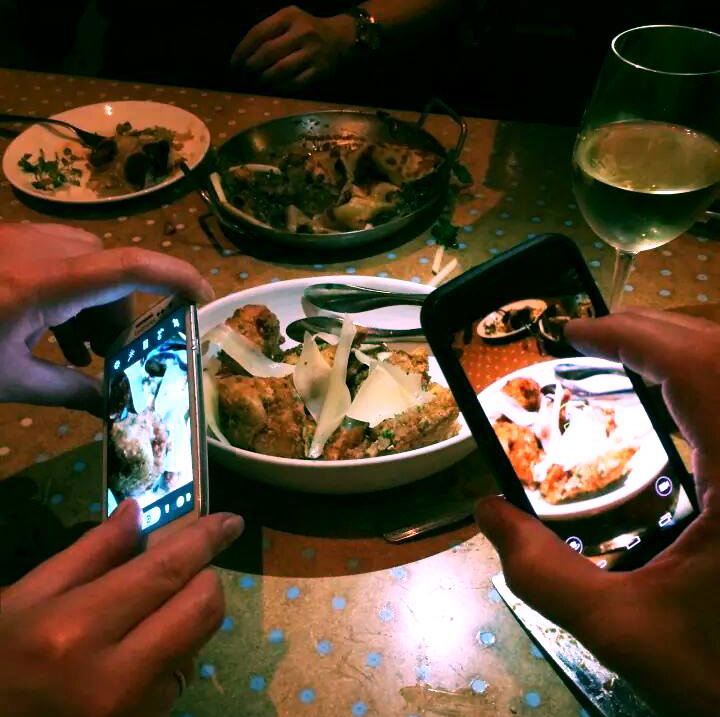 If you’re traveling to a new city and don’t want to dine alone or simply want to meet new people over a great meal in Chicago, BlendAbout is your answer. Founder Kate Spivak was inspired to start BlendAbout after a cross-country move – one that brought her to a new city where she had to build a new network of friends from scratch. “Outside of the online dating world, there was no service to connect people for networking or friendship,” explains Kate. After launching three years ago, BlendAbout is now available in most major cities across the U.S.
There’s no requirement to go by yourself, however. You can invite friends or other contacts to join BlendAbout and register their own seat at the table. Because the process is so simple, it’s a great way to meet people, either within the dating world or beyond. Social networking capabilities allow you to see other “Blenders” in your area and tag someone to your wish list. The service charges a small monthly subscription fee, and then you pay individually for your meal at the restaurant. While a virtual medium is used to set up the meals, BlendAbout gets you out there interacting with people in real life, not just behind a computer or phone screen. 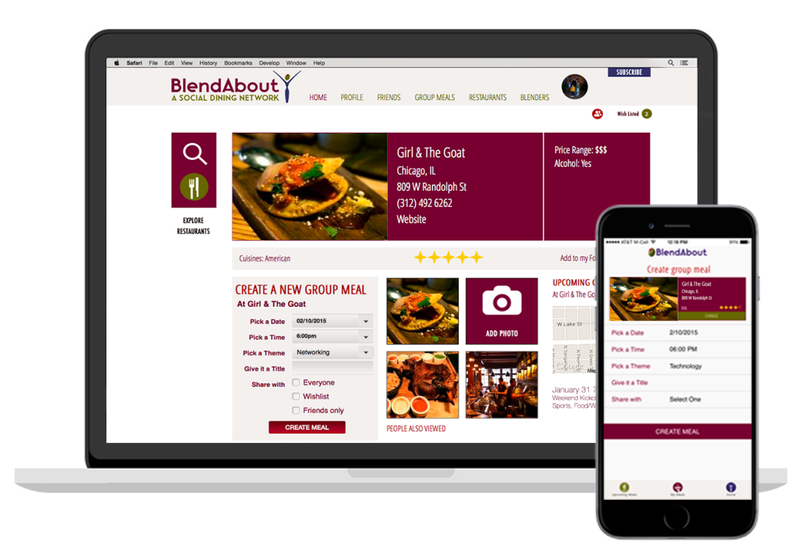 BlendAbout is a great service for anyone who doesn’t want to dine by themselves, who wants to meet new people, or simply to try a new restaurant. While many users are business travelers or residents in a new city, others have unique reasons. For example, a woman wanted to try a hot new restaurant she knew her husband wouldn’t be able to eat at due to his diet. BlendAbout was her solution to find others who would enjoy the same spot. Feedback from users has been that it’s simple to use, guests are friendly and nice, and it’s not an awkward introduction like a dating service might incur. The group setting takes the pressure off, as there are no pre-conceived notions on what the meal should be like. Founder Kate has attended meals as a guest and is lucky that she’s met some of her best friends through BlendAbout. “I didn’t know what to expect when I started BlendAbout, but I’ve met such a range of amazing people.” The BlendAbout team encourages Chicagoans to try out the service and enjoy meeting new people over a great meal. Who knows, you may get lucky and meet a new best friend! The favorite Rockit Ranch Productions presents the comfortably sharp Bottlefork Bar and Kitchen. 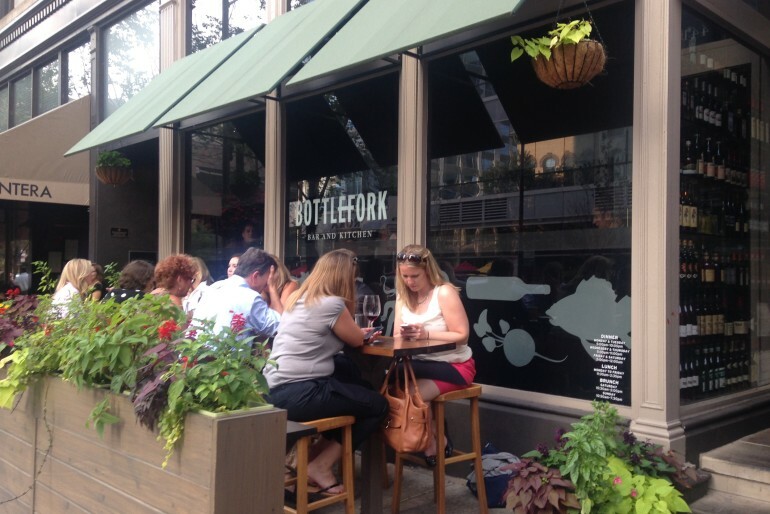 Among all the wonderful restaurants that River North has to offer, Bottlefork stands tall as one of the best. Just as perfectly highlighted in the “Our Story” of their website, “…Bottlefork is a representation of the seamless partnership of the food and beverage coming together to create the perfect marriage of food and drink.” Bottlefork serves a similar audience as their next-door neighbor, Bub City, but with a completely different and uniquely special atmosphere. The restaurant is dimly lit with beautiful wood tones that highlight the bottled drinks effortlessly. 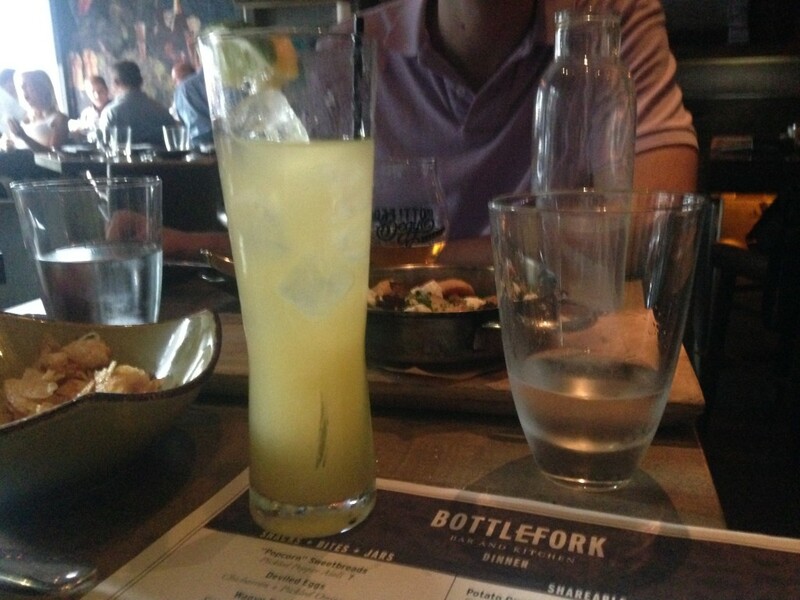 Beginning with the drinks, the options are nearly endless but the “Bottlefork Original Cocktails” are always a safe and yummy place to start. “Big Salty Tears”, sounds like an odd pairing of ingredients (Lustau Palo Cortado & East India Solera Sherries, Rittenhouse Rye, Lemon, Maple, Orange Flower Water & Egg) but is certainly worth being adventurous. Next, for the appetizer, every table in the restaurant at dinnertime seems to order the ““Bag” of crisps and egg” with good reason. In essence, the bag of crisps is a brown paper bag of potato chips accompanied to the table by a small dish of a poached egg. 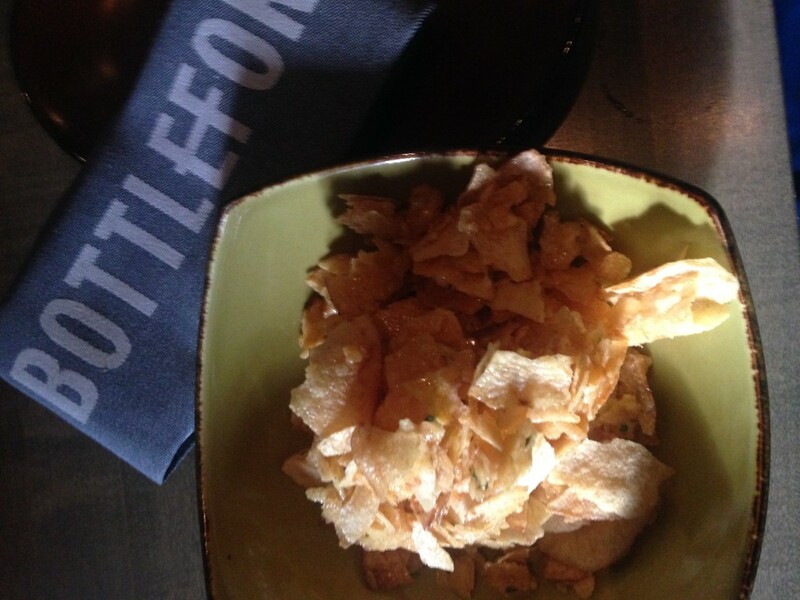 The waiters drop the egg in the bag at the table and shake it up to make a delicious pairing of the chips and egg. Other great appetizers are the Popcorn Sweetbreads or the Deviled Eggs, which have a nice modern twist. The best part, the entrée at Bottlefork, is referred to as ”shareables” with the idea that each party chooses a few plates to enjoy together family style. 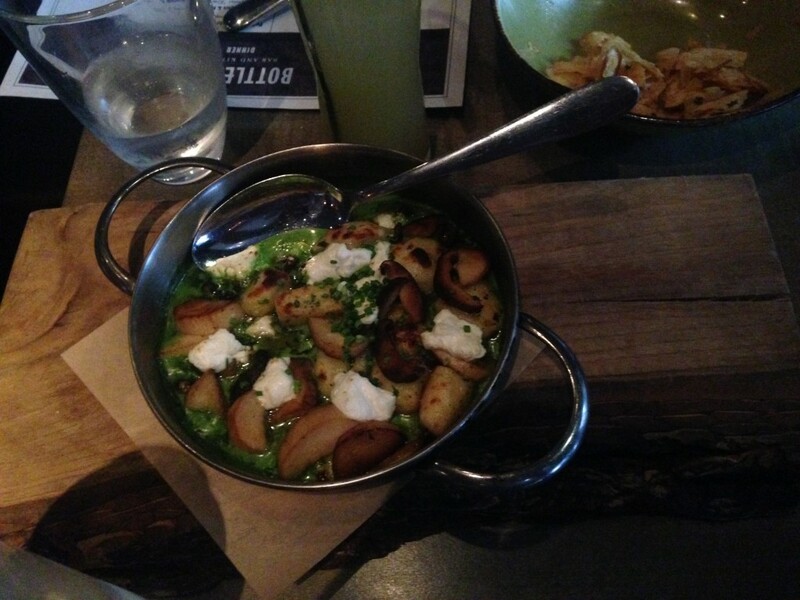 A strong recommendation is the Potato Gnocchi with Spring Mushrooms, Stinging Nettles and Fresh Goat Cheese. This is the perfect size to compliment other dishes because it offers enough bites for everyone to get a good sense of the unique flavor and despite being shared, the potato is still nice and filling. Even for those who don’t care for mushrooms the combination of the stinging nettles and goat cheese helps to give them a new and different pleasing flavor. Lastly, when it comes to everyone’s favorite course, Bottlefork doesn’t fail to impress: dessert is truly the best part. Guests have the opportunity to choose from the creamery or desserts in a glass. From the creamery, the Pretzel Caramel Sundae is a favorite. That delectable sweet and salty mix that comes from caramel popcorn, salted caramel, or M&M’s on popcorn, is delivered perfectly in the Pretzel Caramel Sundae. Visit Bottlefork Bar and Kitchen soon to create your own wonderful experience and find your favorite dishes- you won’t be disappointed. Set a New Year’s resolution to save money this year? While Chicago abounds with expensive meals out, days of pricey sightseeing and nights on the town, there are plenty of ways to enjoy yourself through the cold months on the cheap. 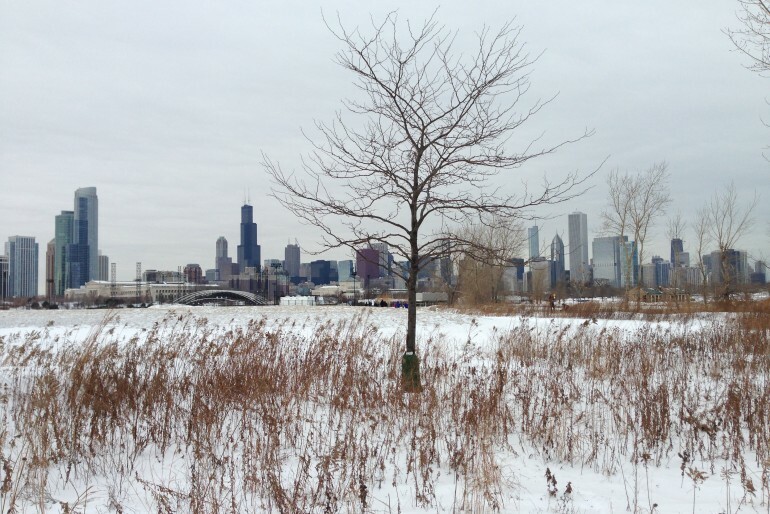 Bring your camera to capture great views of the city while getting a winter workout in. At only $5 for snowshoe or cross-country ski rentals, you can explore this expansive park near the Planetarium. Check here for a calendar of days the program is running. Note that there must be three inches of snow to participate – so check their Facebook page or call 312-745-2910 for up-to-date information on access. Curious about West Loop’s new glamorous social club, the Soho House (113 – 125 N. Green St.)? While much of the club is designated for members or hotel guests only, the coffee shop and bar in the stunningly decorated lobby (The Allis) and the two restaurants (Chicken Shop and Pizza East) are open to the public. One of our favorite stops in the neighborhood, we recommend finding a lovely sun-lit table in the lobby and ordering a latte or freshly-concocted Bloody Mary to soak up the Soho House atmosphere. The Flower Flat in Lakeview (620 W. Addison) is a former flower shop offering a unique café. Breakfast, lunch and dinner are served; dinner only on Friday nights. Take advantage of Friday night’s rotating $19 prix fixe menu featuring dishes such as red wine marinara spaghetti with mozzarella meatballs and peppered shrimp on creamy polenta. Surround yourself with gorgeous flowers, plants and streams when you step inside the heated haven of Lincoln Park Conservatory. Located just south of Fullerton, the Conservatory features four rooms: the Palm House, Fern Room, Orchid House and Show House (which hosts annual flower shows). Access is free. Head further west to visit the Garfield Park Conservatory (300 North Central Park Ave.), which is an expansive tropical setting featuring six multi-faceted greenhouses and two grand exhibition halls. Admission is also free, however donations are recommended. Missing your outdoor workouts? Cover more ground and work up some body heat while biking around town. The Divvy rental bike system is available year-round and you can check out a bike for a $7 24-hour pass or kick start unlimited rides with a year-long membership for $75. Because the intent of the bike program is to offer transportation from one point to another, rides must be 30 minutes or less. If you decide to ride for longer, slight overtime charges will be applied. The program offers 3000 bikes across the city found at 300 docking stations, so you are guaranteed to find one near where you want to go. Missed a few restaurant openings last year? Head in now that lines have subsided to comfort hits such as Leghorn Chicken’s new location on 600 W. Ohio St. ($7 for a Nashville Hot chicken sandwich on a buttermilk biscuit), or Shake Shack (66 E. Ohio St.) where you can devour a classic ShackBurger for only $5.19. Dine on endless tacos, burger and po’ boys at Big & Little’s, located at 860 N. Orleans and 1034 W. Belmont. This favorite Chicago diner was featured on Diners, Drive-Ins and Dives and continues to draw regulars back for more delicious eats. Or, make it fancy and head to Enolo Wine Café in River North (450 N. Clark St.) for a $13 “Tall, Dark and Handsome” flight of 3 glasses of red wine or a $4.50 tasty bruschetta (top picks include Prosciutto, Fig Jam and Mascarpone, or Bacon Jam, Torched Burrata, Arugula and Tomato). 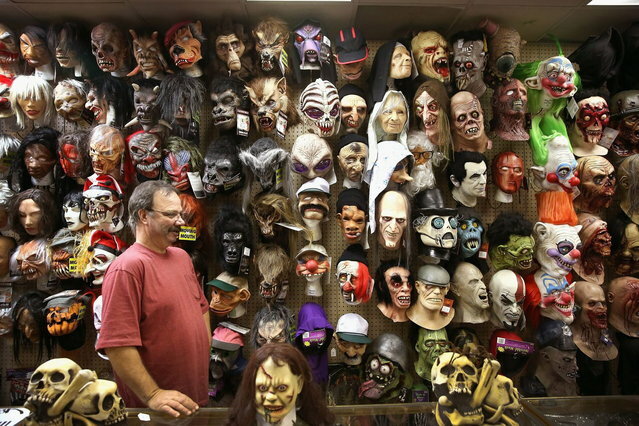 Chicago has so many options to get your cultural fix. From Degas at the Art Institute to dinosaurs at the Field Museum, Illinois residents can enjoy some of Chicago’s best museums for free on select days (bring your driver’s license to show proof of residency). Choose Chicago put together a list of specific dates museums open up to residents for free. Many fitness studios offer a trial workout for free for new customers. Tackle your New Year’s resolutions by finding your new favorite workout. TITLE Boxing Club offers a free first boxing experience, and Power Sculpt Fitness offers a free trial class (check out Cycle & Sculpt or Tabata Express). Warm, cozy bars draw you in from the cold for fun and camaraderie. Keep bar tabs low by heading in for the happy hour specials. Get your coworkers or friends to tag along to split a few appetizers. The Lobby Lounge in the JW Marriott (151 W. Adams St.) offers $5 wine specials and $5 appetizers such as pizza flatbreads and chicken bites from 5 – 7 p.m. Monday through Friday. McCormick & Schmick’s on Rush and Chestnut has a great priced happy hour menu in the early evening hours each day of the week tempting you with items ranging from $2.99 (Garlic Rosemary Fries) to $5.99 (American Kobe Style Carpaccio and Baja Fish Tacos). If you’re craving a Hawaiian island menu, head to Roy’s (720 N. State St.) for Aloha Hour every night from 4:30 – 7 p.m. to enjoy $6 cocktails such as Cucumber Martinis and $6 bar bites such as Red Curry Chicken Samosas and Tempura-Crusted Ahi Rolls. Make a few extra bucks to fund your social life as you clear up space in your closet. Donate clean items in great condition that you no longer want to consignment shops such as Second Time Around (823 W. Armitage). Earn on average 30 – 40% of the original value of an item, or 50% for new items with tags still on. Second Time Around is looking for designer clothing and accessories that you no longer need and can sell to someone else who would enjoy them. Le Thrift Consignment (1821 W. Chicago Ave.) is currently accepting winter hand bags, clothing, jewelry and accessories for similar prices, no appointment necessary. You already love Mariano’s for its extensive selection, great service and gourmet inspiration. Now you can love Mariano’s even more as they tempt you with seven days of classes, demonstrations, tastings and more, December 7 – 14, 2014. Called La Tavola Italiana, the event is designed to kick off Mariano’s partnership with the Italian Trade Agency. Click here for full event listing, prices and RSVP links. Advance RSVP recommended. 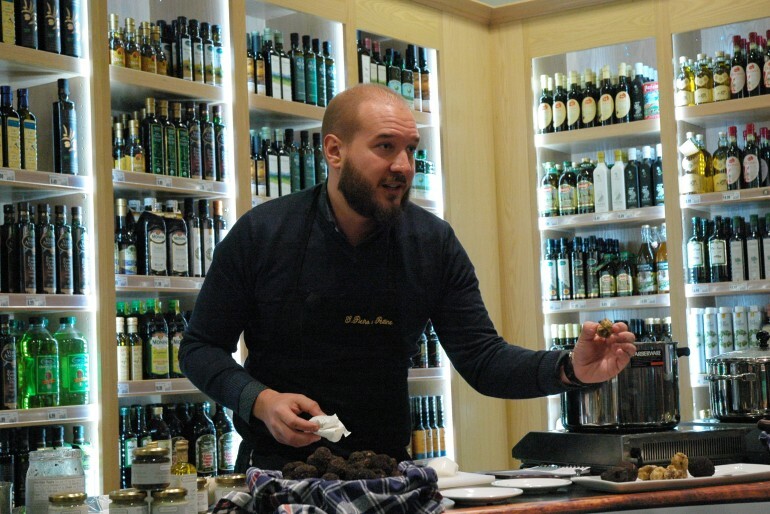 The event kicked off on December 7 and one of the first classes was “All About Truffles” with Italian Chef Giacomo Marinello. 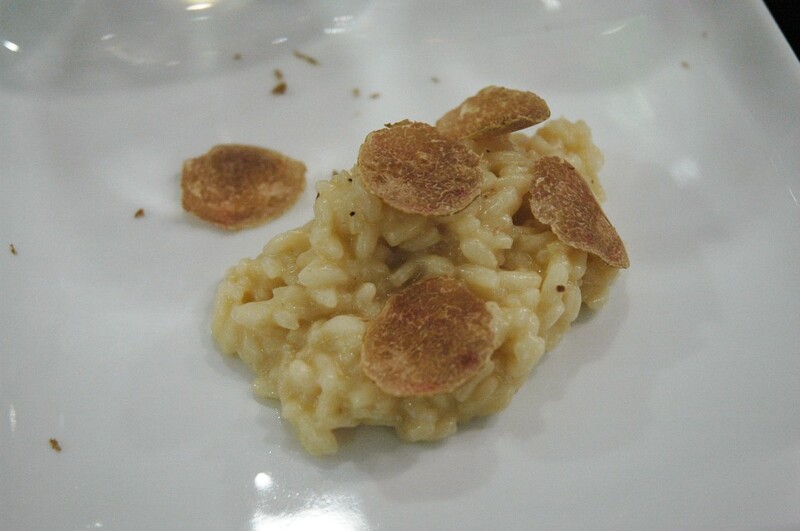 Chef Marinello taught us the history of truffles and treated us to an incredible dish of truffle risotto. Grown naturally in Italy and France, truffles are found by either pigs or dogs. While there are many different varieties, most truffles are either black, with a milder flavor, or white, with a more intense flavor. The right combination of soil composition, temperature and rain is what allows truffles to grow, which are typically found under trees. Made up of nearly 90% water, truffles have an incredible scent and flavor that makes them a delicacy. They have a very short shelf life, barely over a week, making truffles a challenge to secure in their true form. 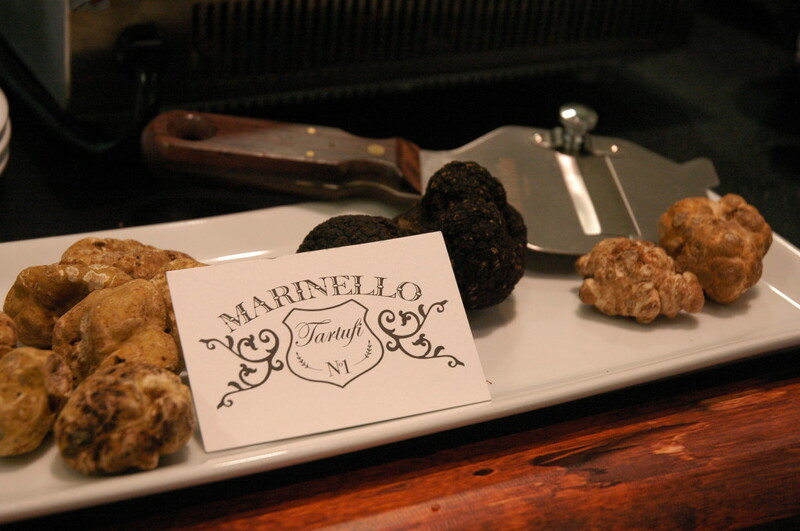 Many derivatives including butter, salt, cream and sauce allow us to enjoy the truffle flavor year-round. 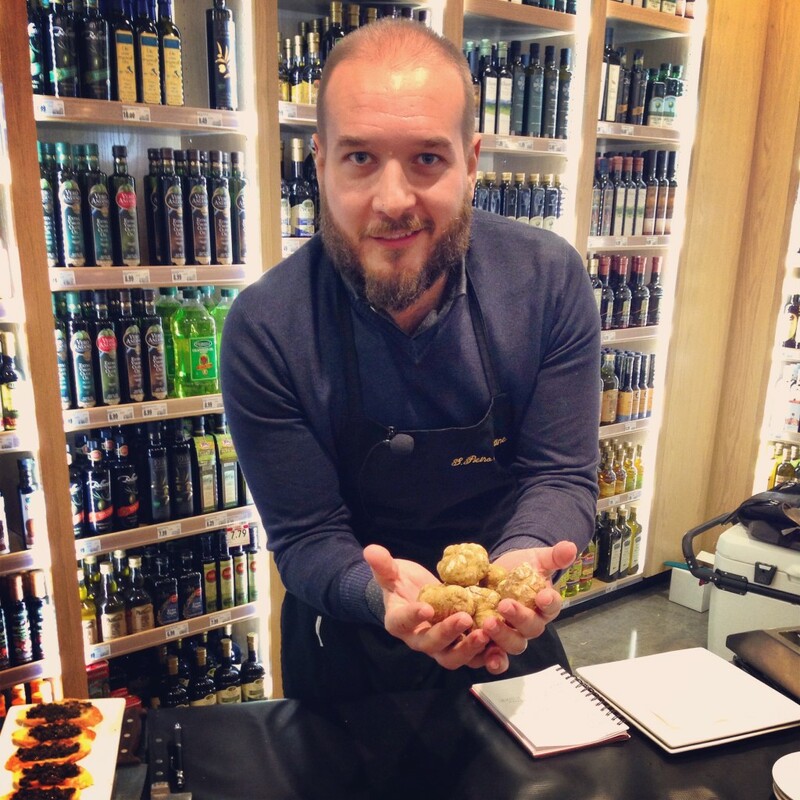 Learn about truffles and much more at Mariano’s La Tavola Italiana all week long! 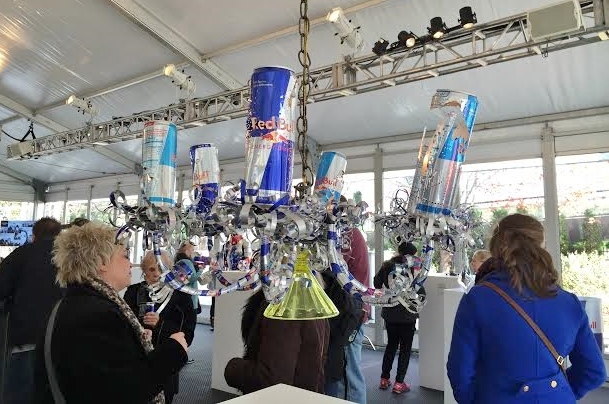 Whether you drink Red Bull or not, you were still able to “get your wings” at the recent Red Bull Art Of Can Exhibit. 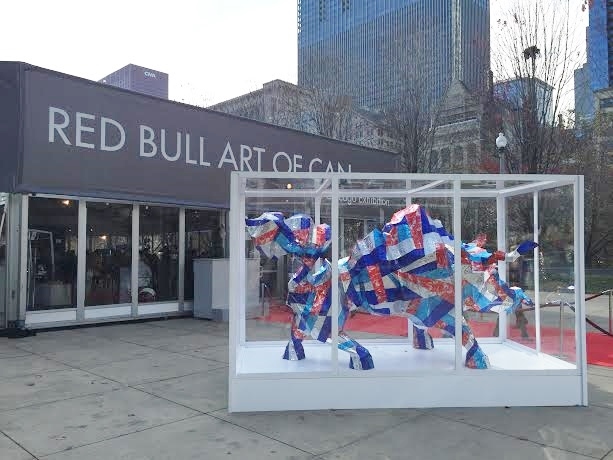 Innovative artists from across the nation were asked to “conceptualize and create pieces using only Red Bull cans as their primary material.” More than 300 submissions were made but only thirty of the sculptures made it into the public display in Millennium Park. Judges of the crafts included Noelle Allen, head of the sculpture department at Dominican University in Chicago; Rachel Handler, senior managing editor of Chicago Sun Times Splash Magazine; Angela Bryant, owner of Abyant Gallery; Matt Eaton, curator and director of Red Bull House of Art in Detroit; Michelle Grabner, curator for the prestigious 2014 Whitney Biennial; and Hebru Brantley, a Chicago based and world renowned multimedia artist. 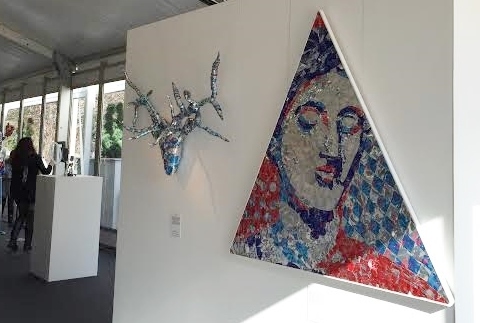 The nationwide artists flew to Chicago from Texas, Michigan, Iowa, Florida, Colorado, Kansas, Georgia, Kentucky, Arizona, New Jersey, Ohio, and New York to show off their “People’s Choice Award” sculptures during the ten day exhibition. Seven out of the 30 artists were from Chicago. 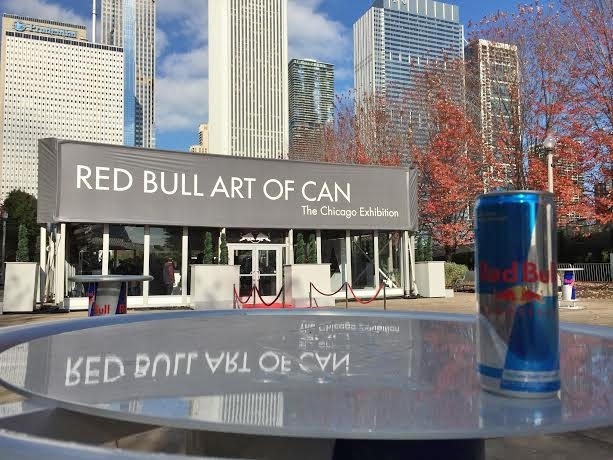 The exhibit blew up around the social media world for the week with videos and pictures and the trending #ArtOfCan hashtag. 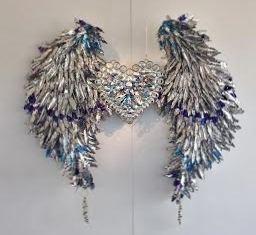 The biggest crowd pleasing sculpture was “Heaven Help Me,” which formed a set of angel wings that people began to stand in front of to have their photo taken in order to “get their wings.” Clever. Another incredible piece was the giant sculpture of a bull that actually had to be displayed outside of the exhibit tent because it was so big. Made out of the original Red Bull cans (Sugar-Free and Low-Calorie have different designs), this display was the most eye catching piece that drew people to go inside and check out what else the exhibit had to offer. After ten days of photos, fun and free energy drinks, the exhibit ended on Sunday with a parade of Red Bull Mini Coopers up Michigan Ave. and throughout the loop. 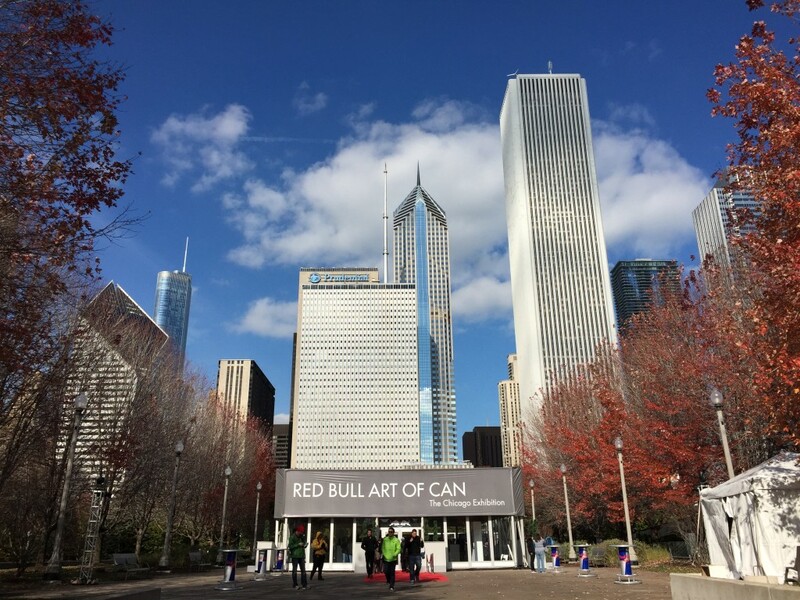 For more information join the Red Bull #ArtOfCan conversation with @redbullCHI or click here to vote for your favorite piece. Founded by Chicago native Sharon Provins and her life-long friend Kim Bosse, Birch Road Cellar is a membership-based BYOB venue designed as a place for entertaining that’s classy and casual at the same time. The club is named after the road Sharon and Kim grew up on, and brings in the style and experience they’ve collected living on both coasts of the country. Tired of the rowdy bar scene and reluctant to join the swanky social club scene, Sharon and Kim identified a need for an approachable space for Chicagoans to entertain. 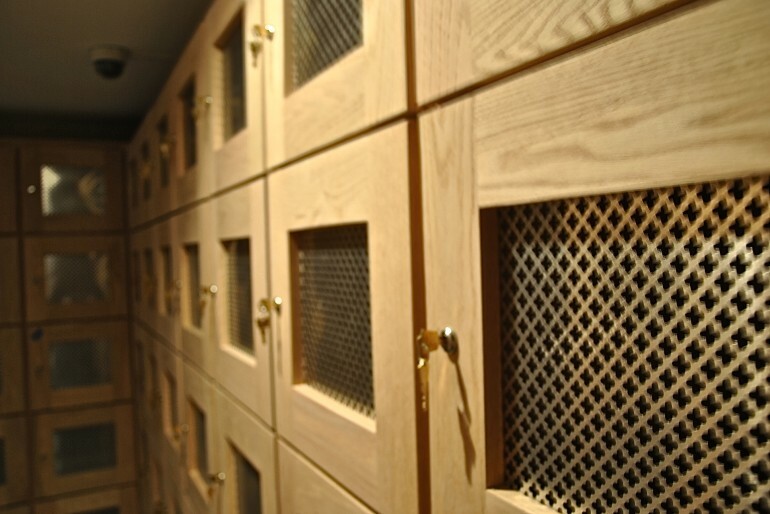 Fitting the cellar name, the space offers a 57 degree temperature and 60-70% humidity controlled cellar in which members can cultivate their own private collection of favorite wines and spirits they prefer for themselves and their guests. No alcohol is provided or served by Birch Road Cellar itself. Members can bring in whatever food or drinks they’d like, and they are expected to leave the space as they found it. 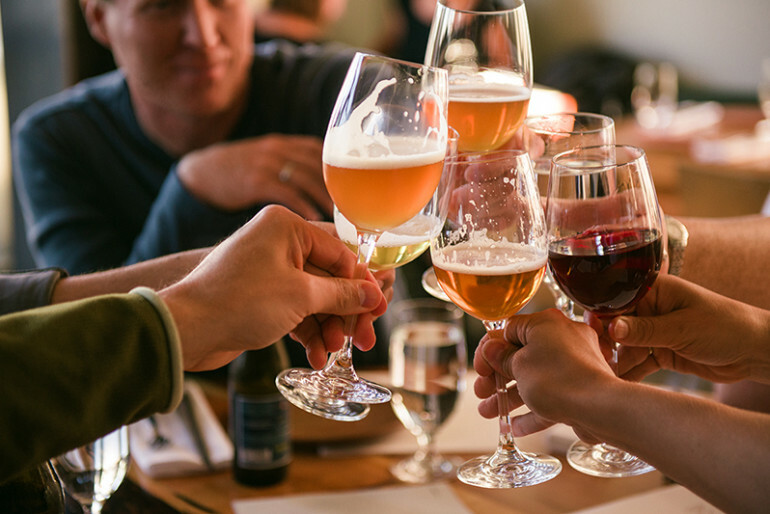 No full-time staff reside at Birch Road Cellar, so members are allowed to come and go as they please – each day of the year from 10 a.m. to 1 a.m. While members typically bring just a few guests, there is also a large private dining room that can be closed off to seat up to 14 guests. This is a great space to host a dinner party if you can’t accommodate this many people in your own home, and the dining room is reserved at no charge to members on a first-come, first-served basis. When asked how else members use the space, Sharon explains that “some bring dates here, some even come for a quiet place to study.” The number of people inside depends on the time of the week – for example, Saturday night might see more traffic than a Tuesday night. While some members keep to themselves and their guests, some love the social aspect and will mingle with other members. Birch Road Cellar even hosts events, and most recently brought in Chicago-based cocktail king Charles Joly to host a mixology class. Intrigued by Birch Road Cellar? Those who appreciate a comfortable drinking scene without the attitude of the club and bar scene are encouraged to join and take advantage of the space as if it were their own home. Membership is $89 a month, for unlimited access, and there is no commitment to sign on for a certain number of months. While there isn’t any specific criteria to join, membership is only obtainable by an in-person appointment with the owners. Visit Birch Road Cellar’s website to request a tour and learn how you can make this secretive space yours. Where to go once you’ve enjoyed your Jack Fire? Chicago brings in a little taste of the south in bars such as Bub City and Old Crow Smokehouse. Don’t forget to wear your cowboy boots – you’re in for a good time! Located in the heart of River North, Bub City brings together barbecue and live music in a fun, country-themed space. Stop in for a good southern meal, linger over the drinks, and stay for the party. A stage up front hosts live music Sunday, Monday, Wednesday and Thursday, with live band karaoke on Tuesday. If you come on an alternate night with a large enough group, you may even get to sit at a table on the stage! Get ready to show off your country style and make new friends over drinks. Perfecting the barbecue and live music formula, Old Crow Smokehouse is separated into two large sections, housed in Wrigleyville. While both sides hold a large bar, one side is dedicated to sit-down dining while the other offers a large dance floor next to a stage that can fit a good-sized band. Get ready to dance the night away as the tunes kick up. Old Crow Smokehouse features live band karaoke on Thursday nights – make the stage your own! Keep the night fueled as you make Jack Fire your order at the bar. When the party calls for staying in, make the night yours with the season’s best Jack Fire cocktail recipes. Pour ingredients into a mug. Stir to combine ingredients. Heat milk & chai mix in a coffee mug, then add Jack Daniel’s Tennessee Fire and stir to combine ingredients. Pour ingredients in a tall glass and stir to combine. 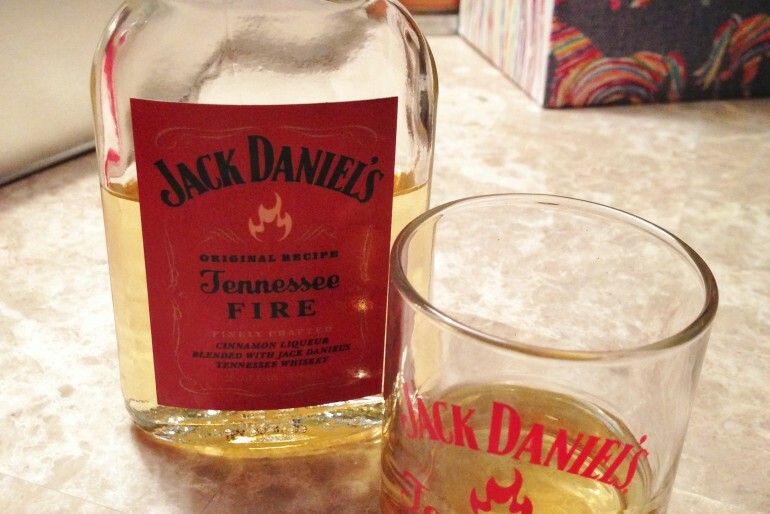 Learn more about Jack Fire and where to buy it here. Chicago, let’s face it, our beloved Bears aren’t doing as hot as we’d like them to this season. Once we thought we recovered from that embarrassing home loss to the Green Bay Packers, a few weeks later we still couldn’t do it at home against the Miami Dolphins. The good news is you don’t have to hang your head alone. Chicago has hundreds of places all around the city where you can find fellow fans complaining about Cutler’s lack of ability and the non-existent defense. We’ve narrowed down the places to go for the pre-game activities, to get the cheapest food and drinks, and of course to experience that “football season” feeling. For the fans that love football season because it involves beer, beer and more beer, Vice District Brewing Company is a new brewery in the South Loop near Soldier Field and will fill you up with just about any craft beer you’d like. The taproom opens at 11 a.m. on Bears game days. Get this. Not only can you kick off the game at O’Donovan’s but they also have a $10 ticket for a round trip shuttle from the North Center to Soldier Field that includes beverages on board. A low-key and mellow beer garden is tucked away in the back that is also heated and enclosed once it starts to get cold. The mother of all bars with LED screens puts the ball into the end-zone for this everyday, family-friendly bar and grill. The beer options are through the roof and the staff is on point. 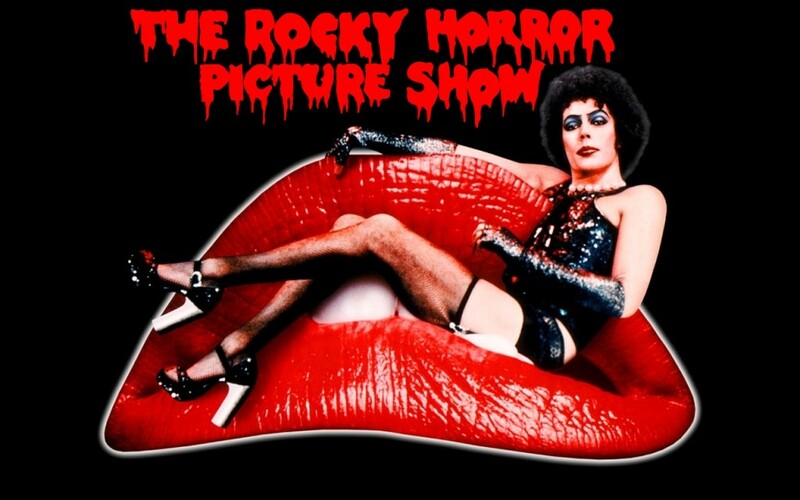 Just what you need to stay sane during Jay Cutler’s horrible passes. 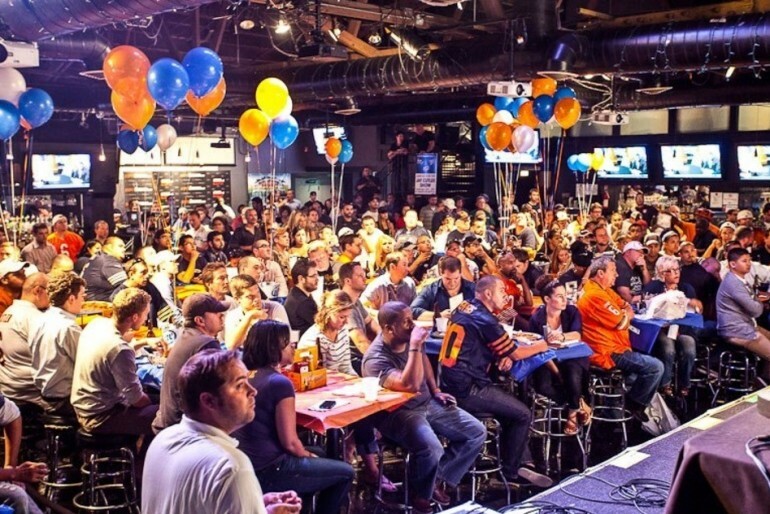 Public House offers a more chic way to Sunday Funday during a Bears game. Enjoy gourmet appetizers to go along with an endless beer list (the taps are actually built into the walls) with names you’ve never heard of, served in glasses you’ve never seen before. Definitely a place to bring a Bears game date to. McGee’s is the definition of a loud, crowded, drunken, chaotic sports bar. Beer will be spilled on you, fights will start and you’ll spend a long time waiting in line for the bathroom. But you’ll have a heck of a time. Joe’s is one of the most popular places to catch any Chicago game. However, the atmosphere is terrific here on Sundays because just about everyone has a Bears jersey on. The food is Chicago style, the TVs play Chicago sports, the people are from Chicago, all Chicago, all the time. True Bear fans will understand why this place is No. 1. Although it is a classier way to enjoy the game, there is no better way to soak in the history of “Da Bears” and reminisce the years they were a great team.